Do infographics still work? I saw this question posed in an online marketing community a few weeks back and it got me thinking. Ever since I've been working in the digital marketing space, I've seen post after post claiming the end of one form of media or another. While these articles can attract a lot of nervous readers, the truth is, most of them are not based in reality. What I hope to show in this post is that infographics or any other type of content can work when used properly. It's no secret that visual content works. In fact, the brain processes visual content 60,000 times faster than it does text. (source) Infographics are a great way to convey complex information in a simple and concise way. 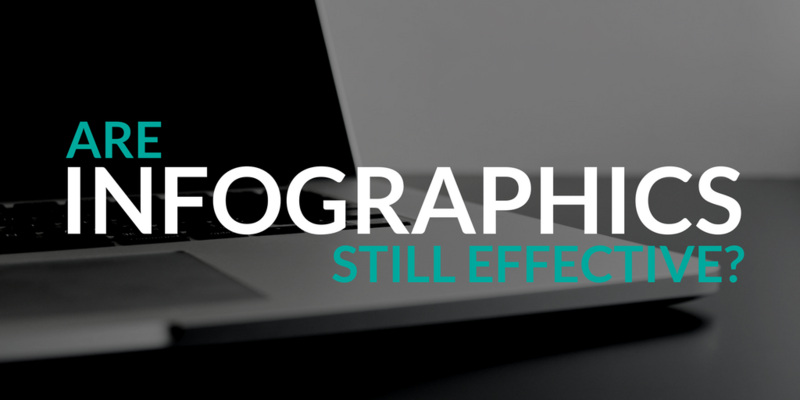 The infographic below has 10 stats that show the effectiveness of Infographics. Yep, it's an Infographic infographic. High quality infographics are 30 times more likely to be read than text articles. Publishers that feature infographics grow traffic 12% faster than publishers that don’t feature infographics. The words “infographic” and “infographics” are searched an average of 547,000 times per month in Google. 90% of information transmitted to your brain is informational . Content incorporating color into the design has been shown to increase reader attention span by up to 82%. When readers approach most copy they read an average of 20% of the text they see. In 2014 alone, 5 infographics topped the 100,000 share plateau—that’s not views, that’s shares. Nineteen infographics had 50,000 shares or more, and over fifty were shared more than 25,000 times. At the end of the day, what separates good content from poor content is whether or not it meets the end user's expectation. Whether you're writing a blog or creating a visual, make sure that you have your users in mind.